Twitter co-founder Jack Dorsey has been snapped up by the Disney board, underlining the ambitious film giant's tech leanings as it takes on a man who has already been mooted as the closest thing we'll get to a new Steve Jobs. Of course, Jobs will never actually be replaced but Dorsey's enterprise has brought inevitable comparisons, and an appointment to the Disney board draws another parallel: Jobs was Disney's biggest shareholder following its purchase of Pixar, and a key board member as the company went through its own renaissance. What this Dorsey's appointment actually means for Disney is harder to pin down; although the company's purchase of Marvel and the Star Wars rights has already shown the intent by the Mickey Mouse company. 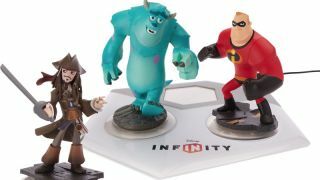 There's already been a huge push into apps and recently showed off its research and development into tactile touchscreens, as well as the much vaunted Disney Infinity project. Dorsey's involvement on the board, like Jobs before him, illustrates the importance of technology for any company with a consumer arm, and Disney will no doubt be looking at the entrepreneur's strongest suit, social networking. With digital distribution still largely at arm's length from social networks despite some high profile moves into music, it will be interesting to see if Dorsey can have as much impact in this new era of Disney as Jobs did in the previous incarnation.